New-to-Market! 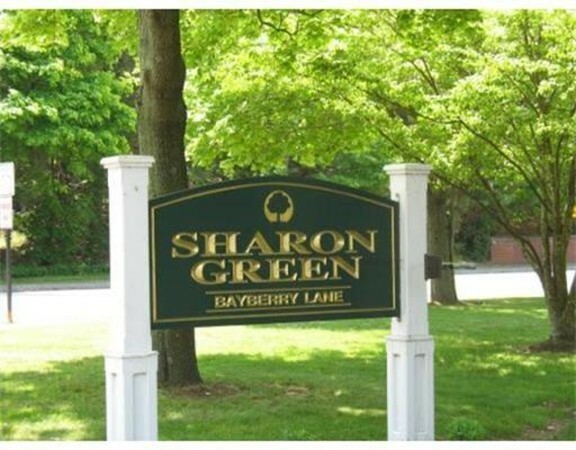 Awesome total renovation of this desirable 1ST-FLOOR, 2-bedroom unit in Sharon Green complex. No expense spared to make this the prize of Sharon Green and a place you will be proud to call HOME! Rich oak hardwood throughout, CUSTOM KITCHEN with ceramic tile floor, soapstone countertops, SS appliances (including 5-burner gas stove). Tastefully renovated NEW Bathroom, NEW interior doors, NEW windows, NEW recessed lighting and light fixtures. Condo fee includes all utilities: heat, electric, a/c, hot water (except cable).This 2 BR condo offers a prime location and setting overlooking quiet courtyard, convenient parking. Tennis and renovated community pool for your enjoyment. Large bedrooms both with double closets; Eat-in Kitchen. Secured storage area included, common laundry within building. Conveniently located close to local shopping, commuter train station, and highway access.